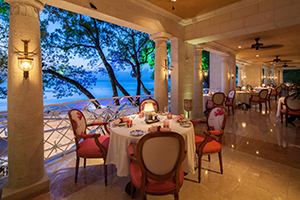 A first glimpse of Sandy Lane is something you will not forget. 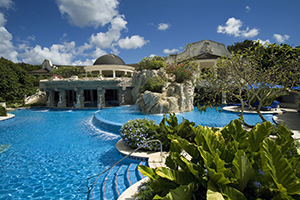 The turquoise ocean sits beyond the marble lobby, beyond the arch of the veranda, silky and aqua, calm and magnificent. 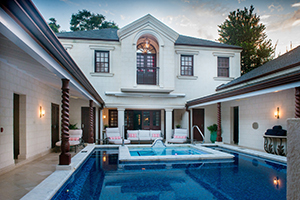 Sandy Lane is set in an ancient waterfront mahogany grove on the west coast of Barbados, famous for its pristine beaches. Coral sand and a lazy breeze follow you from the spacious balconies of each room, to the world-famous golf greens, to the superb restaurants, the world-class spa, heavenly pools and bars within. 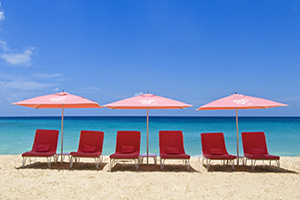 Every day the always genuine and engaged staff magically crafts the authentic Barbadian experience. Perfectly set on the western coast of Barbados, frequently called the ‘platinum coast’ for the beauty of its beaches and sparkling waters. 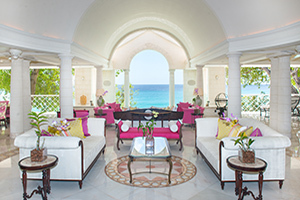 112 rooms and suites; stunning 5-bedroom private villa; the breathtaking Sandy Lane Suite. 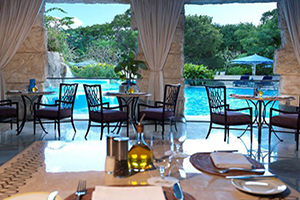 For beachside Barbados dining, the atmospheric Bajan Blue is perfect, offering all day dining and a mélange of European, Caribbean and Asian influenced cuisine. 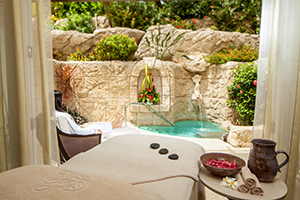 The 47,000 square foot Spa at Sandy Lane features 14 treatment suites and uses Margy’s Monte Carlo and Aromatherapy Associates. 4 restaurants and 7 bars that celebrate flavors from around the world. 7,500 square foot swimming pool with cascading waterfall. Transfers to and from airport in exclusive car. Welcome fruit cocktail and complimentary Fast Track on arrival. Non-alcoholic drinks in honour bar. Unlimited use of 9 tennis courts and non-motorized water-sports including windsurfing, hobie cat sailing, kayaking, and snorkeling. Day access to The Treehouse Club available for children and teenagers while parents relax.